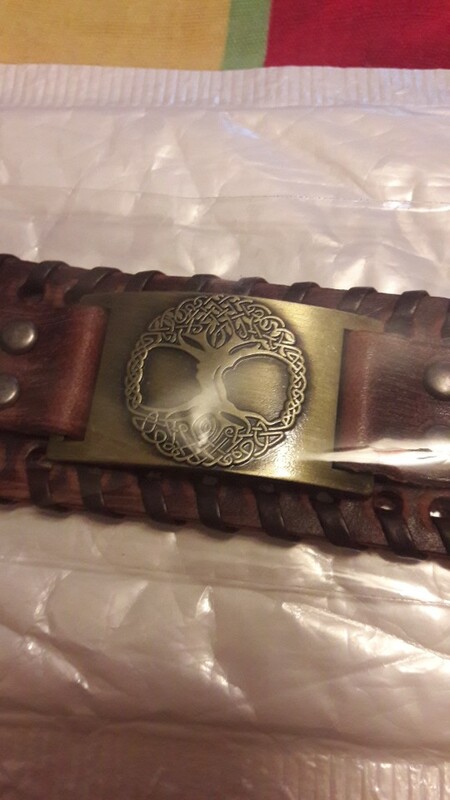 From MY SHAPE comes this beautiful punk / vintage style Norse Tree of Life themed leather wrap bracelet for men and women. Ideal for casual occasions such as parties, work, Cosplay, casual wear, etc. 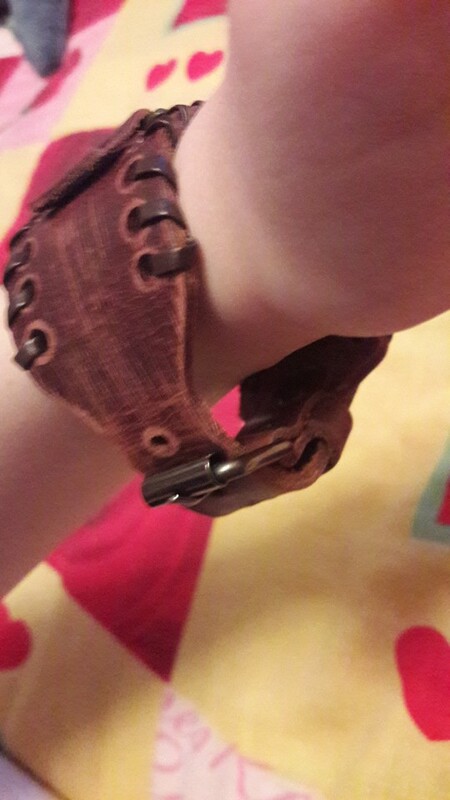 The bracelet is made from genuine leather with a buckle attached to fasten the bracelet to the wrist and to adjust the bracelet to your wrist size. 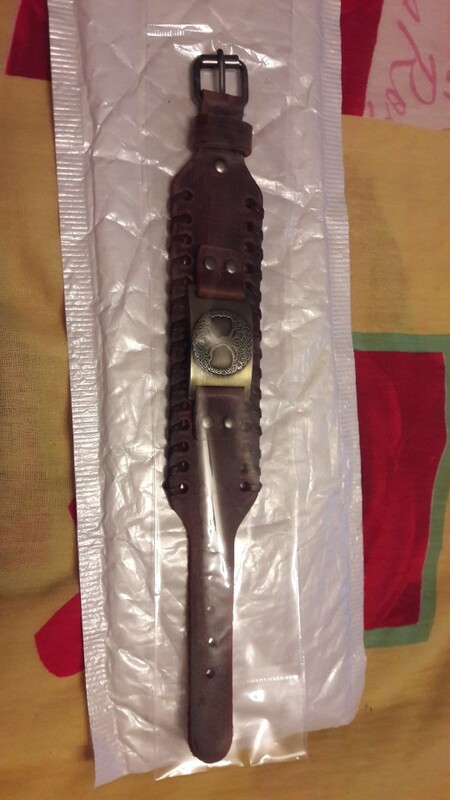 Attached to the leather is a high quality metal zinc plate bearing the Tree of Life emblem. The result is a fantastic bracelet. 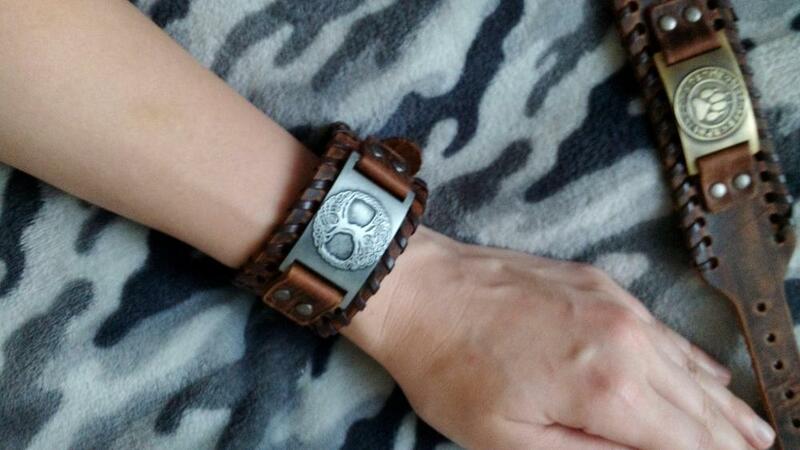 The leather of the bracelet is available in two different colours (Black, Brown) and the metal plate bearing the Tree of Life emblem comes in three colours (Antique Silver, Antique Bronze, Antique Copper) to suit personal preference. This bracelet would make an excellent gift for fans of Norse / Viking mythology and those who simply like this type of jewellery. Браслет отличный. Больше, конечно, на мужскую руку. У меня тонкое запястье и мне он велик, даже если застегнуть на последнюю дырочку. Полностью отслеживался, пришел меньше чем за месяц.